The history of map-making is full of educated guesses. As late as the 19th century Africa and Australia contained vast, unexplored interiors. 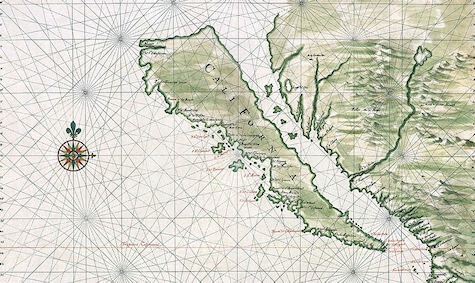 Cartographers often used experience and logic to infer the lay of the land. Unsurprisingly, they were frequently wrong.